YFC/USA is part of the world-wide movement of Youth for Christ International. We are knit together with our common mission, vision, statement of faith, and passion to reach young people with the life changing message of Jesus Christ. Our Suncoast chapter has special connections with several international chapters, providing mutual support and encouragement. It is a striking testimony to the freedoms that we enjoy in the United States that, for safety reasons, we can't even name some of the locations that we actively partner with. God is at work in powerful ways despite our enemy's best attempt to silence the Truth and Life that comes only through the name of Jesus. Please pray with us for the safety and effectiveness of our brothers and sisters reaching lost teens across the globe. 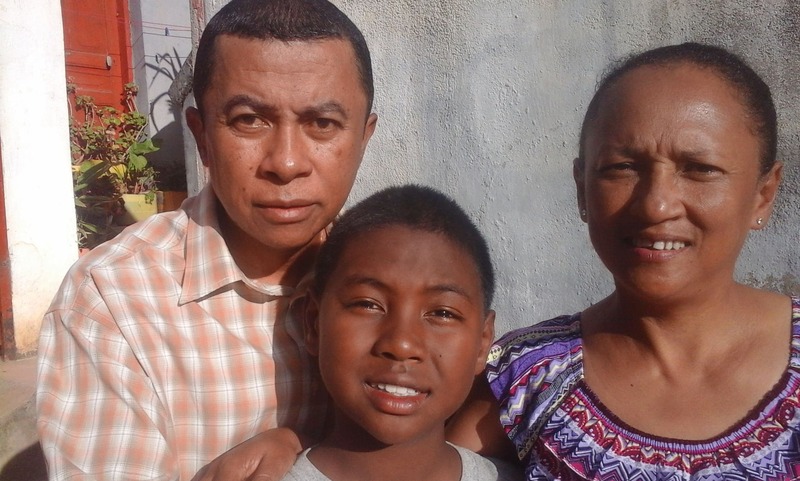 Pictured is Director Maharavo Ravoniandro (Ravo) with his wife, Lalasoa and son Mike. Josue and Maria serve in the municpality of Heredia, Costa Rica. Please read their newsletter HERE.